Railway transportation plays an important role in supporting the economy of any country. Railways is a strong and wide-developed system that can provide uninterrupted smoothly transportation of cargo. The density of the covering railways in Ukraine is high, and by the length of the rail network makes Ukraine the third largest country in Europe. Therefore, rail transport has a special importance in the Ukrainian transport system. The railway used to carry a significant share of cargo which are forwarded by the company. 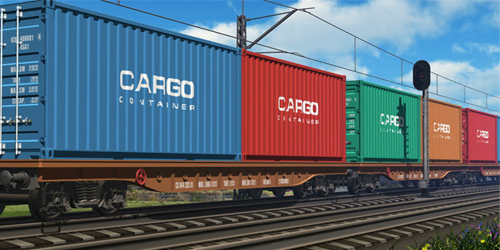 There are regular routes for specialized transport of containers by container trains. The speed of delivery and safety of goods guaranteed. Railway forwarding is provided by a specialized division of Global Ocean Link. The station processing and document transport operations are provided. An important and integral part of the company’s services include international transportation. Simplified customs clearance for transit.